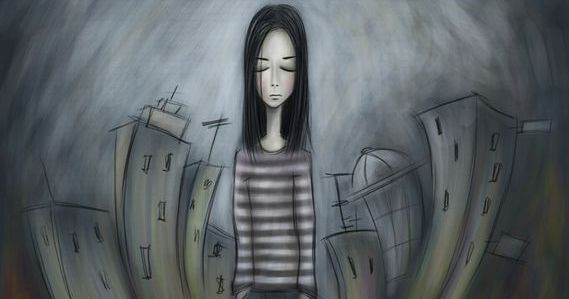 Depression is a mood disorder marked by an extended period of low motivation, sadness, and/or irritability. Depression can be like a heavy blanket that weighs one down throughout the day, or persistent negative thoughts that one cannot shake. I often describe mild depression as "knocking life down a rung", where the things that are enjoyable become neutral, the things that were neutral become tedious and the things that are tedious become impossible. People suffering from depression often isolate from other people as it can take tremendous energy to be around others and to try to act “normal”. The problem is that isolation from social supports often intensifies the symptoms of depression. Many experience this as being sucked into quicksand or being at the bottom of a dark hole all alone. In therapy I will work with you to understand how your depression is affecting you currently, where it came from (stress, relationships, trauma, negative thoughts, biochemical) and we will work together to create a plan to treat your depression. I have had success in helping people navigate the dark waters of depression and find ways back to bigger, richer, more full lives. Research shows that talk therapy in conjunction with medication is the most effective treatment for depression. I would be happy to discuss your thoughts about medication and refer you to a psychiatrist if you are interested. Spending time with kind, empathic friends and family. Those who you can be “down” around and not have to pretend like everything is ok.